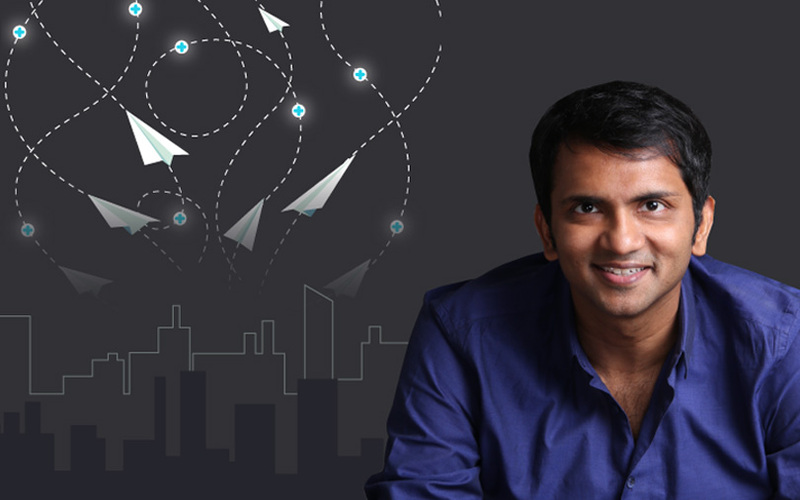 Bhavin Turakhia and younger brother Divyank became entrepreneurs almost two decades ago when they were still teenagers. In 2016, they shared a billion-dollar fortune when they sold their ad-tech firm Media.net to a group of Chinese investors for $900 million. While Divyank continues to run Media.net, Bhavin is focusing on other businesses including cloud-based team messaging and collaborative platform Flock. Since launching Flock in 2014, Bhavin has injected $45 million (Rs 292 crore) into the company while staying away from debt or venture capital. What exactly is Flock and why do you think the office communication segment will change? Flock is part of a category known as the team messaging and collaborative space. This arena has seen a significant change for the last 20 to 25 years. Until a few years ago, telephony and email were the predominant methods of communication. So in many ways this space was ripe for disruption, especially in the field of office communication. Quite a few changes have taken place in the way we work or operate. Take, for example, a media company 15-20 years ago, when work wasn’t that collaborative and desktops were largely used for products such as Microsoft Office. Work happened much more in silos. However, today 80% of the time, work is more collaborative in nature, especially when you think of online or connected desktops. You may share documents, use task management tools. You may keep track of social media using another tool or you may use Google Analytics (to measure website, app, digital and offline data to gain customer insights). Now imagine you have 10 sophisticated tools to use at work and, mind you, more complex jobs require more sophisticated tools or rather more tools. For instance, a marketing sales person is using CRM (customer relationship management) and social media tools. So, we end up using a lot of this disparate set of collaborative tools at work, including some communication tools and tools for general work such as task management. You have to constantly switch between context and communication. What Flock enables you to do is bring the context to the communication via its channels. How do you see the future of Flock in India? India has an estimated 65-70 million employees. All these employees need a Flock ID to communicate more efficiently within their organisation, making them a potential customer. You will find it very difficult to find organisations without email now, which was not the case 10 years ago. What we saw happen with email in the last decade will repeat with team messaging and collaborative platforms in the next 10 years. Every individual in the organisation will need to communicate on these platforms. What can we expect from Flock in 2018? Expect us to be more aggressive this year. This will be the year of customer acquisition for us. We are also working on developing some products and features that we may launch this year. We are launching a new enterprise sales team, other than the one we already have. We are expanding our customer-success team and doubling down on digital marketing. These strategies not only apply to India but other markets such as the US and the UK. From a product standpoint, we are significantly improving our video-conferencing and video-chatting ability inside Flock. We will be launching some other communication and conferencing tools and features inside Flock. We are also working on adding business process automation features within Flock to help customers monitor processes in real time. How will the improved products look like? The video-conferencing tools for Flock are currently not a very embedded experience. We are trying to improve them and help support a large number of simultaneous participants. We are also working on including business process automation within Flock. A lot of work doesn’t happen in real time in many organisations and we are trying to automate these work processes so that these move in real time and increase efficiency or productivity. Our business process automation product is still a work in progress. Artificial intelligence (AI) and machine learning (ML) have become the bedrocks of any new technology solution. Are you working to implement these in upcoming features? Flock has basic AI and ML running in the search feature in channels. The other area is building capabilities of enhancing conversations by providing intelligent suggestions while on chat. Let us say, you and I are chatting on Flock and you say you are free now. Flock will then immediately provide the option of calling you via its AI and ML algorithm. What are companies expecting from Flock and what are the benefits of using it? What companies want is to get work done via a single window or as few windows as possible. This can happen when organisations integrate their other applications into Flock. Ituran Location and Control Ltd, an international global positioning system company that manages 1.3 million cars, has used Flock to cut time lag and improve efficiency. Ituran’s technical support and marketing teams were always on calls and hence talking became a problem. They used Flock to solve this. The company’s senior leadership said that Flock made their life easier as they could monitor different parts of the business, request hourly updates as well as keep up with work proceedings even when training or visiting customers. We generally take a couple of weeks to honour an integration request of other applications from customers but sometimes the request is handled on the basis of demand as well. Having said that, we have released APIs (application programming interfaces) and nothing stops individual companies from integrating Flock into their software applications if they have the resources. Specific benefits after adoption are: 30% increase in productivity at the minimum, a 100% increase in knowledge time, a 60-100% increase in transparency and a 50% reduction in email alongside 60-70% reduction in face-to-face meetings. Several of our customers have said that Flock is much easier to use than its rival. As a messaging platform, WhatsApp is very popular in India. In the face of such a huge entity, how does your team-messaging app Flock aim to strive for competitive edge? In fact, the very reason that WhatsApp is more popular now becomes a good selling point for Flock. Almost all organisations that we have engaged with have said that using Flock is way better than using apps such as WhatsApp. Such instant messaging platforms can lead to several problems for employees in terms of management and privacy. Take the example of email. Everyone has a Gmail account, but do they use it for official purposes? No! This same phenomenon I can see happening with Flock. We are seeing considerable interest from India. But we have realised that adoption cycles in companies tend to take time. In most cases, instead of the entire organisational staff jumping onto the bandwagon, some teams adopt the solution and these adoptions are mostly led by team leads. After the success story of Flock in such teams, our adoption increases inside the organisation. Having said that, we are adding 2,000 teams (organisations) on Flock every week and nearly 30-35% of them are from India. Flock is registered in India as TNet Messaging Services Pvt. Ltd, which gets majority of its revenue from the Flock app.